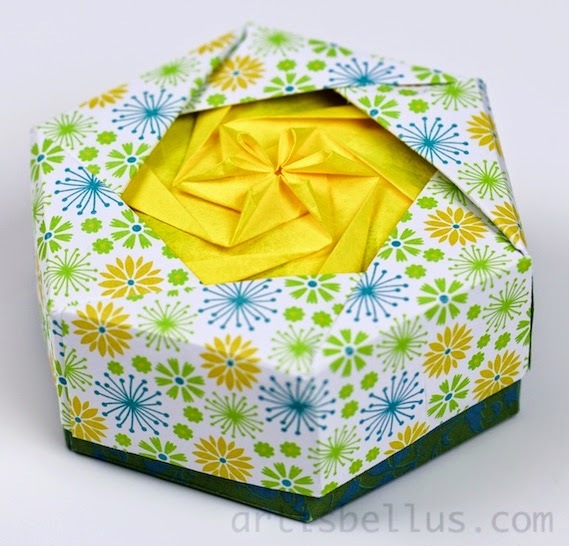 I learned this cute basket in one of our local origami group meetings. It can be used to treat your friends with candy, or as a decoration. 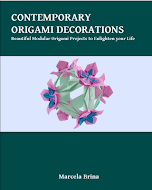 The instructions for the Summer Basket can be found in the book, The Joy of Origami , by Margaret Van Sicklen. Shellene, one of our origami group members, came up with a finishing variation, that makes the basket sturdier (it's this variation that I'm showing in the picture). 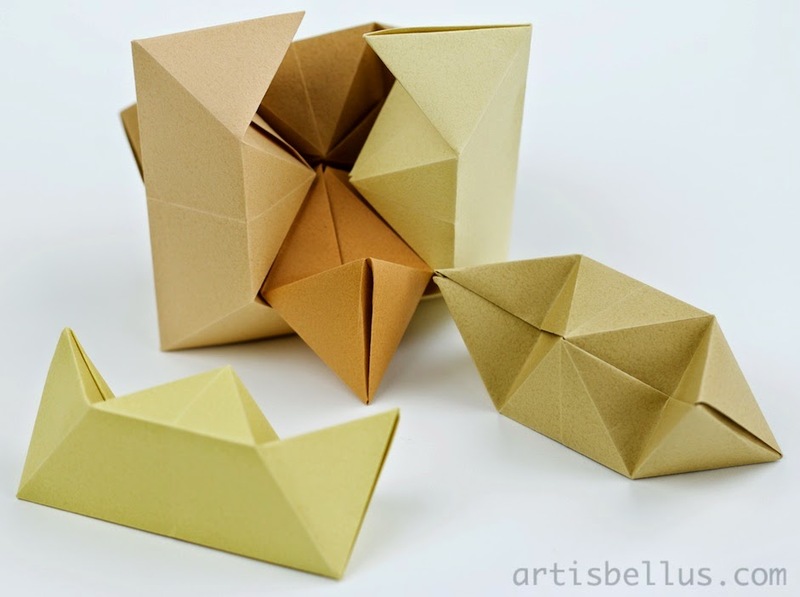 In step 15 of the instructions, instead of folding the flaps to the inside, fold the top triangle to the outside and then fold the flap horizontally to the outside and then down. This will allow to tuck it inside the outside rim. The flowers that decorate the basket are a variation of the traditional lily. I folded the basket with a 8½" (216 mm) square cut from a letter size sheet of parchment paper. The handle was folded with the leftover strip. 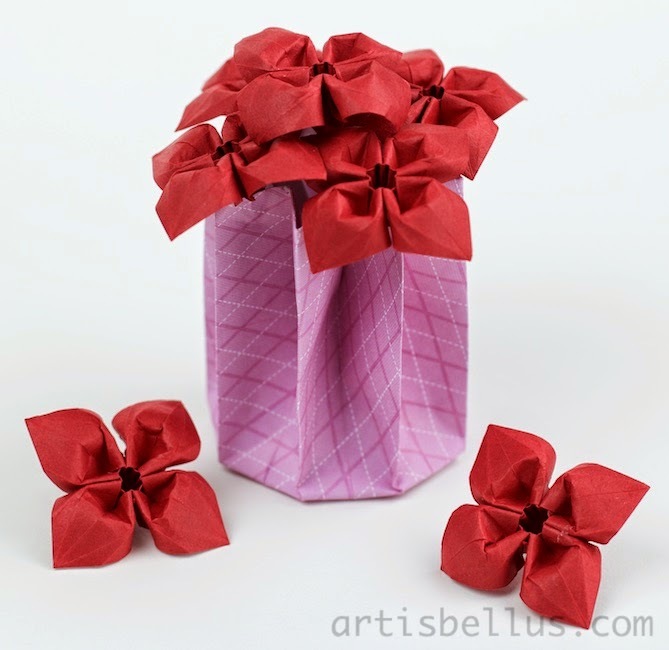 The flowers were folded with 3" (75 mm) squares of regular origami paper. 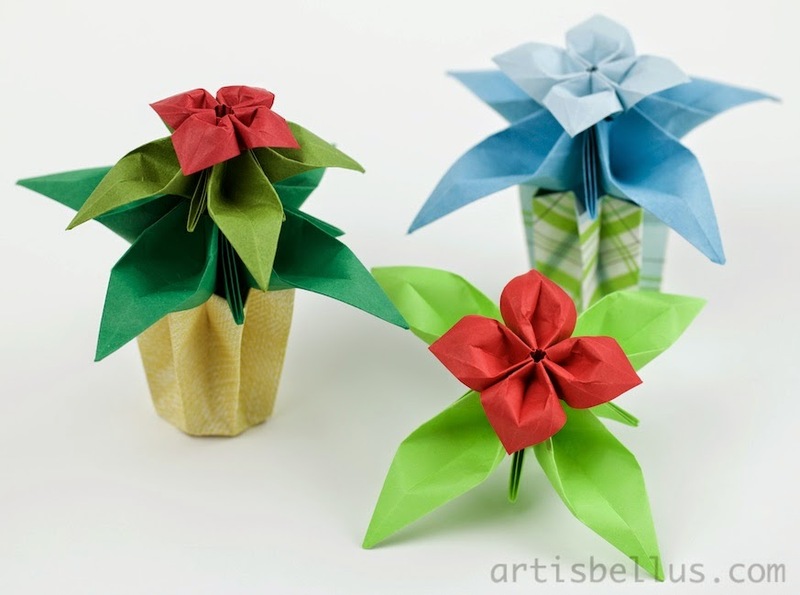 Colorful origami flowers can be used as beautiful decorations to brighten your desktop, like these columbines in the pictures below. The Columbines were designed by Benjamin Coleman. 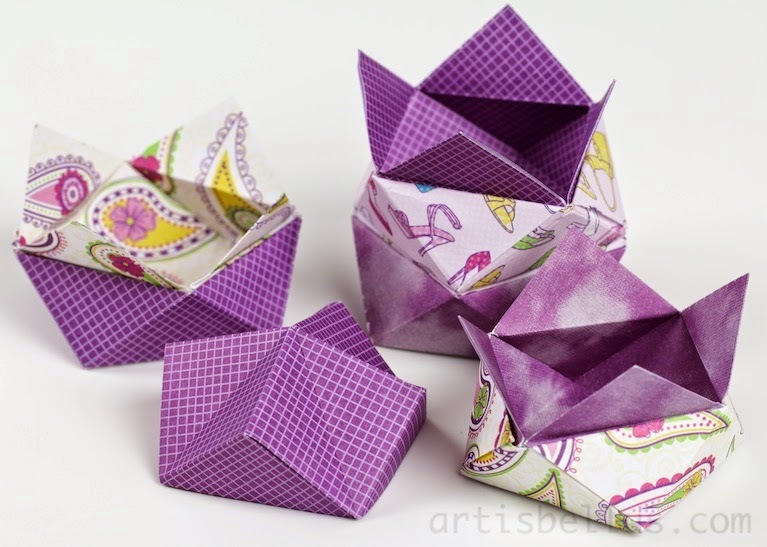 The instructions can be found in his book Origami Bonsai . 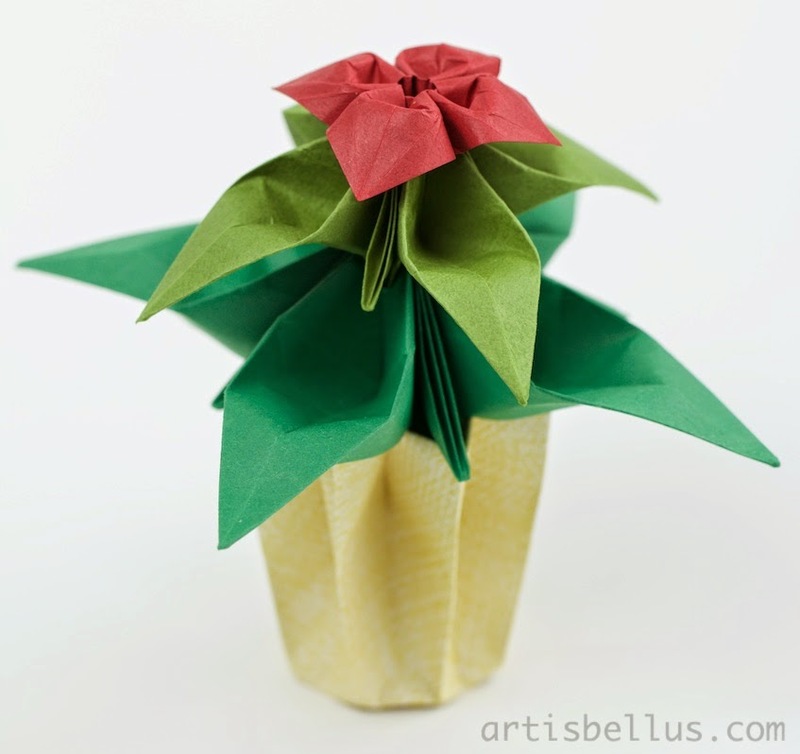 The vase is a variation of a traditional kusudama piece (video instructions can be found here). I folded the flowers with 3" (75 mm) , 6" (150 mm), and 8" (200 mm) squares of TANT paper and Folia Origami Paper , and the vases with 6" (150 mm) squares of scrapbook paper. A Burr Puzzle is an interlocking puzzle consisting of notched sticks, that resembles a burr seed. 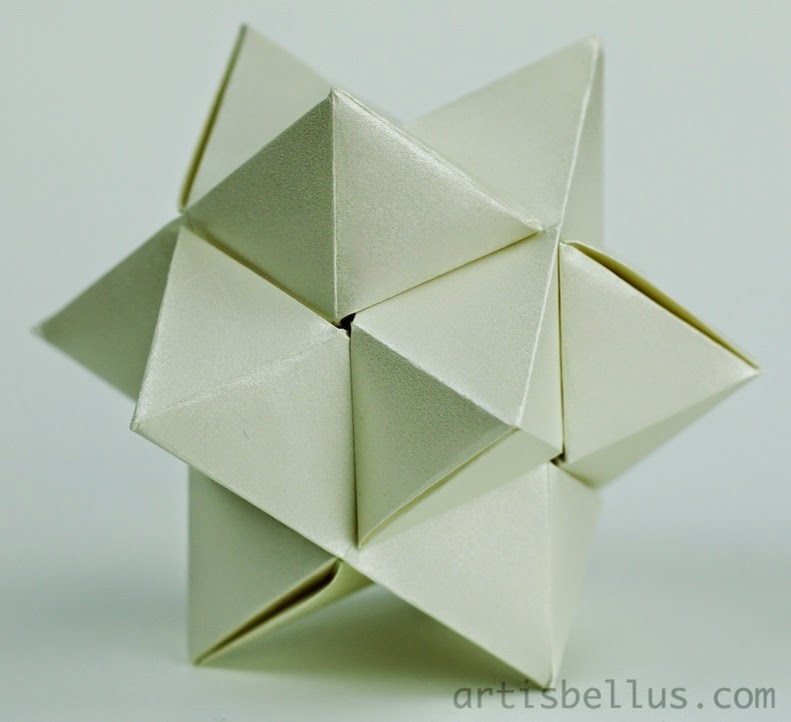 It's usually made of wood, but here is a nice origami version of a Burr Puzzle that you can make with paper. 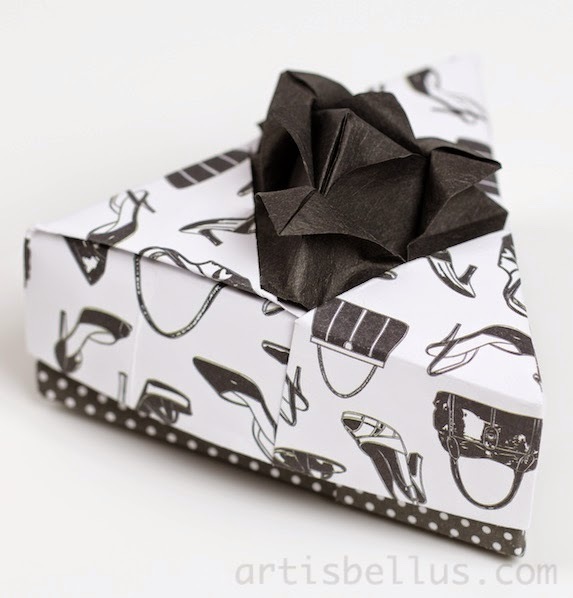 It's a nice decoration and it's very easy to fold. 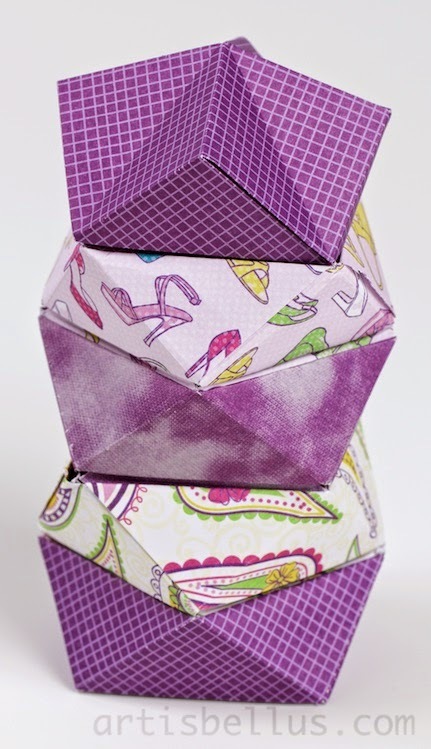 The origami version of the Burr Puzzle was designed by Barlaham Benítez Vargas "Froy". 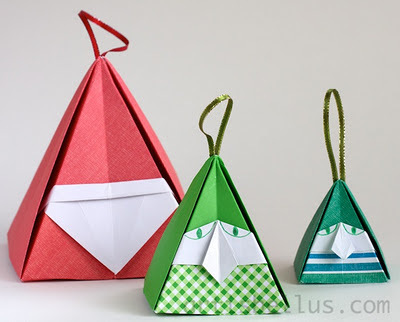 The diagram can be downloaded from the OrigamiUSA website (click here). Each puzzle consists of six pieces. Here is another picture that shows a details of each piece. The puzzle on the top is folded with 5½" (138 mm) squares of Wausau Paper Metallics, and the one on the bottom with 6" (150mm) squares of TANT paper . Spring is almost here. 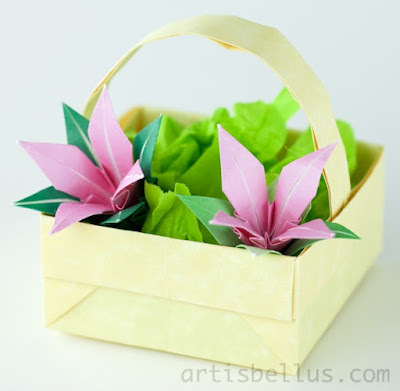 Let's celebrate it by folding some colorful origami flowers! The Primroses were designed by Benjamin Coleman. The instructions can be found in his book Origami Bonsai . I folded the flowers with 3" (75 mm) squares of TANT paper , and the vase with a 6" (150 mm) square of scrapbook paper. This is another beautiful box designed by Tomoko Fuse.